"Wonder if I can have a double career, NASCAR and Brazilian jiu-jitsu?" 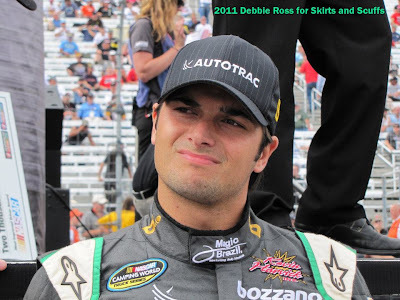 Congratulations to L5S1ouch who contributed the winning caption for this photo of Nationwide driver Nelson Piquet Jr. Tags Caption This winner X Debbie Ross X Nelson Piquet Jr.